Support FFA and 4H programs as they learn about food production. 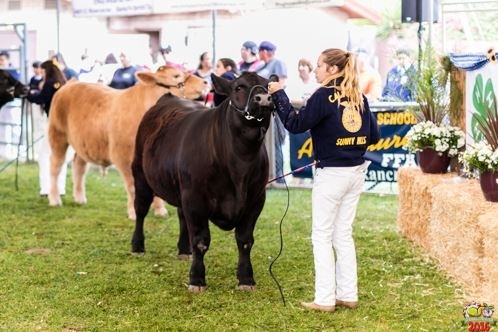 Students receive essential information on the proper raising of livestock and vegetable farming though local High School programs. A percentage of the sale goes directly to the program. 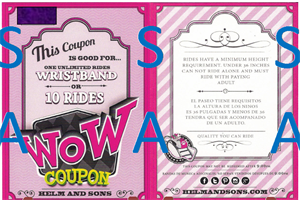 You can pick-up your rides coupon when you arrive at the Fair. Take the coupon to the ticket booth and choose between 10 rides (as before) or one day wristband (new) that is good for all day.